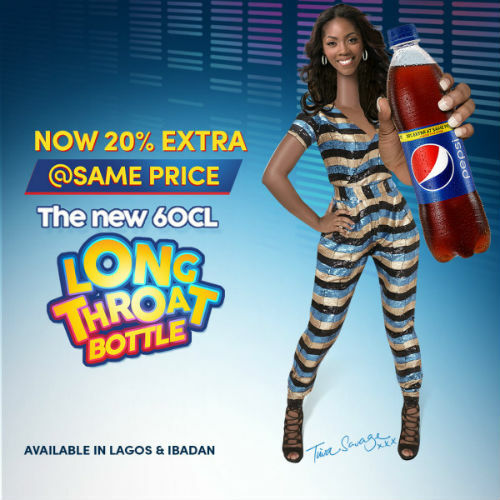 Pepsi began with a Twitter campaign called #ThingsILongThroatForWell, also known as Long Throat Bottle. 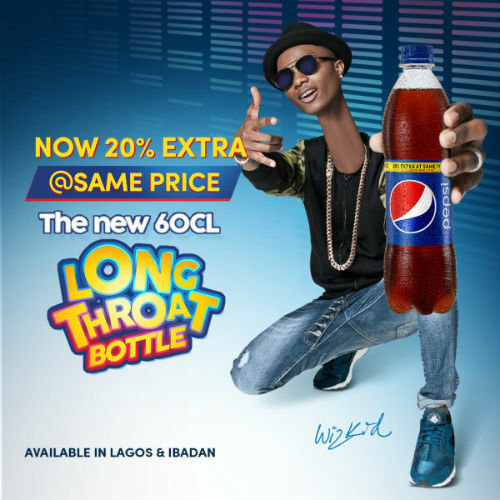 Since the launch of the Twitter campaign, the buzz has caught on and Pepsi had positioned some of Nigeria’s biggest entertainment celebrities, Wizkid, Tiwa Savage and Seyi Shay to announce the things they ”Long Throat” for. 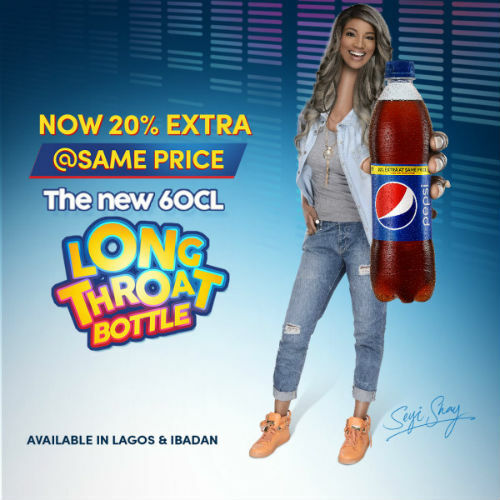 In the midst of it all, music star, Seyi Shay was introduced by the company as their new Pepsi Ambassador. The handlers of Pepsi say that the new 60cl Pepsi bottle will retail for the same price as the former bottle. Pepsi’s action is coming on the heels of AJE Group’s market entry into the Nigerian soft drink market. At the launch of BIG Cola, BIG Orange and BIG Lemon last month in Agbara Industrial Estate, the company said that it would offer 60cl BIG Cola soft drinks and its variants, 15cl more than the competition at the time for N90. While Pepsi’s recent action is still unfolding, it would be interesting to see how the market and consumers respond to the new offerings. Are Nigerian consumers loyal to a brand that has a long history in the country or will they base their purchasing decisions on who offers the most value? With Pepsi firing the first warning shot across the bow, what would be the response of Coca-Cola? Sources close to the company say they feel confident that no other company can displace their leadership position in the market. In either case, the consumer will come out better off. Let the cola war begin. My comment is based on your company marketing and distribution strategies. Your recent decision to stop retail distribution is a welcome development. Also, your recent decision to invite big Financiers as Distributors in each State as against the practice of having recognised dealers that could help to push your market should be re-considered. With the current economic recession, not all nooks and corners of Nigeria have access to your products. Irregular supplies into the market is forcing consumers to look elsewhere. This policy decision should be re-considered in order not to create monopolistic distributorship which could kill your business in Nigeria especially in the States that you dont have factories.